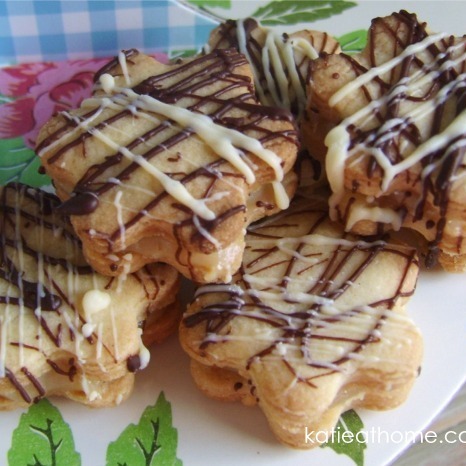 Mothering Sunday perhaps you can make your Mum or your Gran some Toffee Flower Biscuits. These tasty little shortbreads will go down a treat. Toffee Flower Biscuits are based on my very tasty Millionaires Shortbread recipe a little bit smaller and not quite so much chocolate. Bake at 160 deg centigrade/ 320 deg F / Gas Mark 3 for approx 10minutes until golden brown – remember when the shortbread hearts come out the oven, they will not be firm, they will firm up as they cool. Whoever you make them for I am sure they will enjoy them, my children adored them, as little bit of love from Mummy in the lunch box!